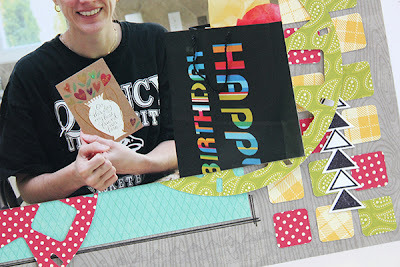 I am a huge MFT fan and I love what you have done with all of their goodies on this page Juliana!! An amazing layout! SO many incredible details!! Congrats on being chosen as Guest Designer!! Very fun page! I love all the movement on it. Happy Birthday!!! 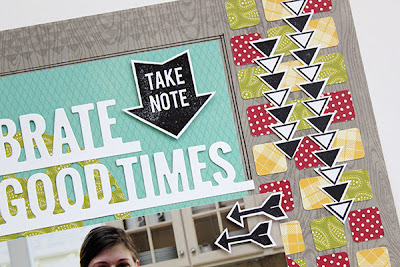 I love how you used the cut outs from the reels to make the border. Its such a cute and colorful layout!! Adorable, and SO fun, Juliana! Love the border on the side with all those arrows. How creative you are to use all those negative pieces like that! Love this! And huge congrats on your guest designer spot! What a fun layout! Love the bright, happy colors. Love how you used MFT'S dies. Congrats on the GDT!! This is gorgeous!! LOVING the colors, the photos and loveeeeee the reels!!! I loved your page... very fun! Fun page Juliana!! Love how you used the view finders, and the great mix of colors on your page! Totally fabulous, love how you used the products ... the layout looks amazing and certainly eye-catching too.